Each bigger city has a few of such places where you can bet on it there’ll always be something going on. A concert, a lecture, an exhibition or just some sort of happening that will allow you to meet creative and exciting people. Centrum Kultury Zamek - Zamek Cultural Center is the place to be if you’ re hungry for culture. No matter what art form you’ re interested in this is the right place to be, concerts, exhibitions, lectures, movies and much more. Additionally the interiors of the Zamek as well as the surrounding gardens are quite impressive. Inside you also have an adorable café that’s surely worth visiting. Stary Browar is a unique center that combines business, art and shopping. All of which are interwound making regular shopping a rather extraordinary experience. Due to its architecture Stary Browar has been listed as one of the top 20 architectural icons to be created in Poland after 1989. Indeed the building combines its traditional character with modern influences in a superb and impressive way. During the 7 days that Stary Browar is open during the week you’ll have a good chance to enjoy a concert, exhibition while doing some shopping hoppin. 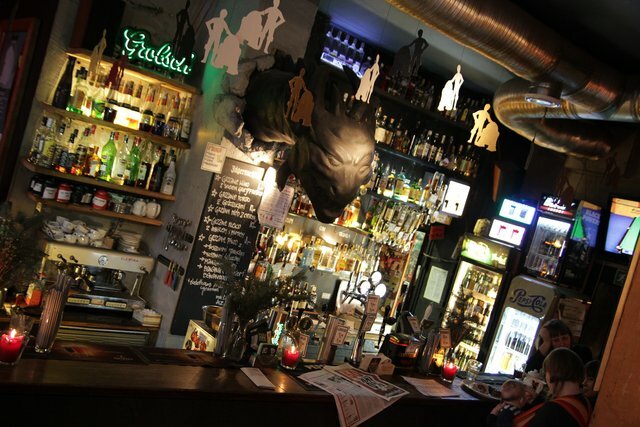 Dragon Club is full of excitement, a place known for its avant-garde art and music and also for its long hours. On some days Dragon Club is open even up to 24h. Apart from being a club and concert “joint” Dragon is also a restaurant, so go ahead come and enjoy some good food accompanied by good music. Kontener Art, located within a 5 minute walk from the old town, at the river banks of the city is a mobile cultural center combined with a beach bar. The place is in business during the warmer months of the year from the beginning of May until the beginning of/ mid September. Kontener Art is the perfect place to kick back and relax while chilling on sun beds and listening to music. It’s always worth checking out if workshops, events, exhibitions or concert are about to take place. Additionally sports enthusiasts might be happy to find out that beach volleyball, chess and tournaments for other sports get organized each season. Poznań is quite big on small movie theaters. Places that offer a unique atmosphere not only because of their cute and charming size but also because of the film program they decide on. Niche, avant-garde and foreign films are quite popular, however also every once in a while mainstream movies get their chance to be presented. Charlie & Monroe, Rialto, Apollo and Muza are probably the most popular locations, each of which offer something a bit different to its fans. During the summer/holiday months one might also enjoy open air cinema that has become more popular in recent years in Poznań. Locations that you can bet on are: Malta Lake and Stary Browar. A useful bit of information for tourists should be the fact that in Poland films aren’t dubbed but presented in the original language of the film with polish subtitles making them thus more accessible. Poznań has quite a few theaters ranging from modern and dance to traditional and opera. Not knowing polish surely won’t be an obstacle especially for fans of the opera or the philharmonic. Additionally more and more plays offer subtitles in English. Blue Note is a club that has already been around for a few years. It’s well known for its concerts and black music parties. Depending on the day of the week you can enjoy different forms of entertainment. Meskalina is a bar located in the very center of the old town. The bar is located next to the Arsenał gallery. Every once in a while together with the University of Arts exhibitions that are open to the general public get organized. However if this doesn’t seem to be your cup of tea check out some concerts and/or other events. SQ is probably one of the most popular clubs In Poznań. Parties are organized at least 4 times per week and are often hosted by DJ’s from all over the world.